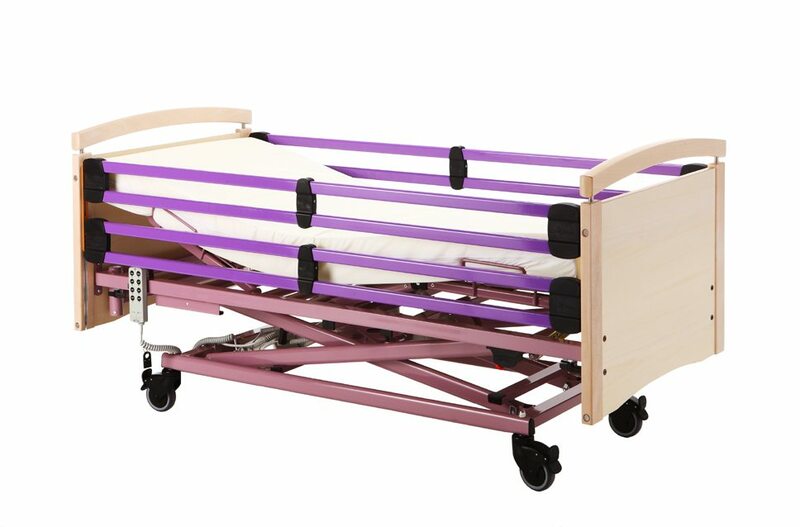 Many of the beds in Kinderkey’s children’s range have the added benefit of surrounds/bumpers or they are enclosed; offering a comfortable and safe night’s sleep for children who have physical, mental or behavioural concerns. Although some parents and carers may worry that their children will feel trapped, the beds are specially designed to create the opposite effect; with a clever combination of materials, designs and features that create feelings of safety and comfort. 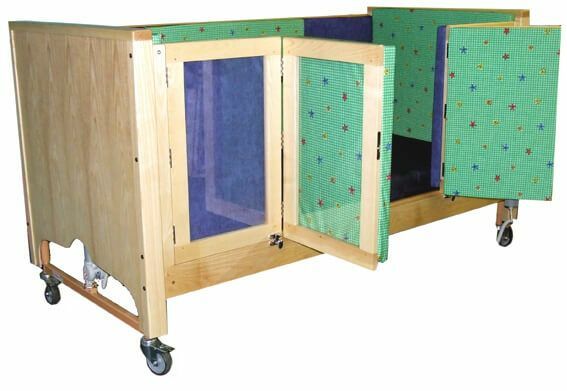 Made of soft material and in bright colours that will entertain any child, some of the beds have windows and others have sides that fold down so that the child can see over the top – so they don’t feel trapped. The unique Kinderkey bed surround provides a waterproof yet breathable surface that feels luxuriously soft. With micro-pores allowing the air to flow freely, this creates a comfortable and safe environment. 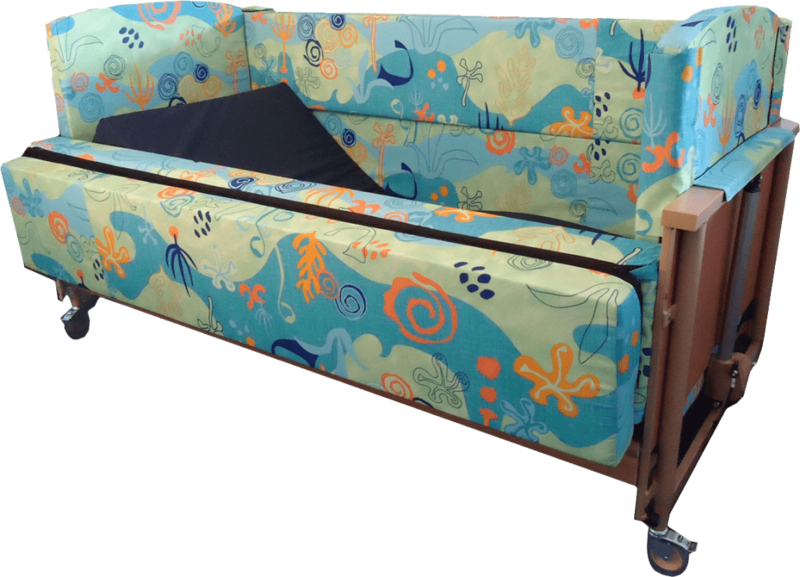 The fabrics are designed especially for children and they include a bright beach scene; playtime and friendship, featuring children playing; and Madagascar, with prints of friendly cartoon animals. 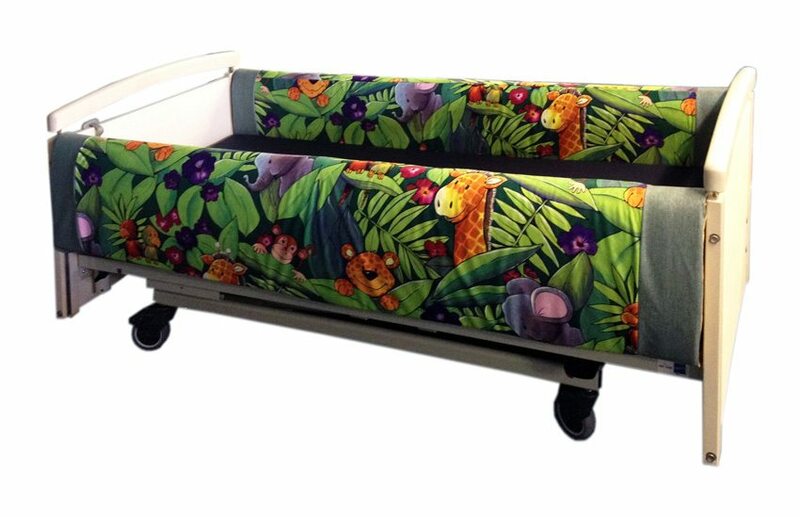 Available in a similarly colourful range of fabrics, our wrap-around bumpers are designed specifically for wooden and metal rails – preventing children from falling out of bed, ensuring their limbs don’t become trapped in the rails and softening the impact from any sudden movements. The bright, cheerful fabrics will make bedtime fun, dispelling any claustrophobic feelings and allaying any fears of being trapped. 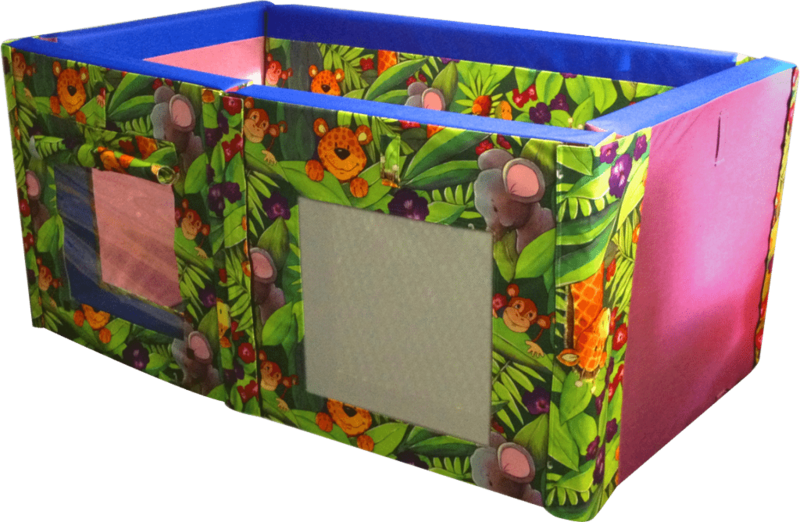 For children aged 3 to 12 years, the junior care bed features ultra-strong, yet light safety barriers at the sides. With spaces between the bars of less than 65cm, they are safe enough to prevent any bedtime accidents, while maintaining a feeling of space – the child can see between the bars. The CosySafe cot is a fully-adjustable, electric bed that has padding in a variety of children’s patterns. It features safe sides as high as your room will accommodate; outward-opening, folding panel doors on one or both sides; rails or perspex panels; and optional perspex windows in the head or footboard. The Bearsnoozzze promotes safe and comfortable sleeping and includes a list of characteristics to resolve many night-time problems. With all the features of a cot bed, it is available in a range of beautiful bright patterns that will delight any child. The soft but sturdy safety sides surround the mattress without any gaps – these can be made to your required height and with clear vinyl or mesh windows. The Bearhugzzz SpaceSaver assures a safe night’s sleep. Again, featuring windows made from mesh or vinyl and with modular strong steel walls encased in foam, the waterproof anti-microbial fabric is available in a range of bright patterns and colours. This bespoke bed can fit into any space. If you have any questions regarding our bedtime solutions, please do not hesitate to contact Kinderkey – we are always happy to help.